Sheila C. Boyington, PE is the President of Thinking Media, a Chattanooga-based educational technology firm for the past 21 years. Thinking Media is the creator of Learning Blade® for STEM education. Learning Blade is a STEM career awareness online system that has been validated by BattelleEd to increase awareness and interest in STEM careers with currently two statewide contracts and work in 30 states. 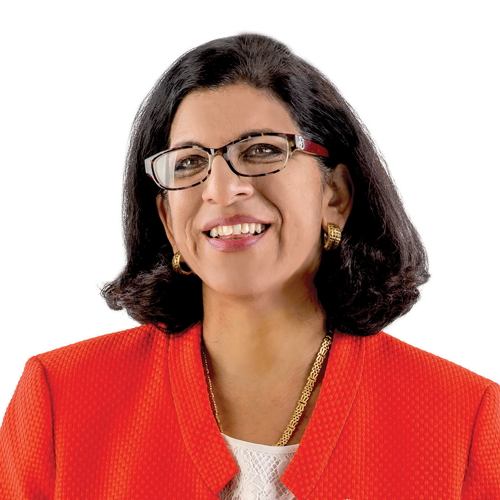 Sheila is currently serving as the National Senior Advisor to STEMconnector® and National States Chair for Million Women Mentors® as she is leading national efforts in STEM particularly for women. Sheila has worked with the MWM team to build over 40 state leadership teams and created infrastructure to support the MWM State work and support close to 2 million pledges. Sheila is a successful entrepreneur and exudes her passion, strong management and leadership skills. Those skills are used to gain high adoption of the Thinking Media tools. Thinking Media is also the creator of ACT’s KeyTrain® system for WorkKeys® (acquired by ACT in 2011 with over 28 state contracts), PictureRx® for health literacy, and CharacterEd.Net® for K-12 character education. Sheila is Professional Engineer, and holds a M.S. in Civil/Environmental Engineering from the University of California at Berkeley and a B.S. in Chemical Engineering from the University of Florida. Recently Homeland Security stated that “The cyber leaders of tomorrow are sitting in classrooms today. As cyber threats continue to evolve, the nation’s protection against them relies on a steady stream of qualified cybersecurity professionals entering the workforce”. Students today need strong fundamental skills with understanding of how what they learn in school connects to the future of cybersecurity and other STEM careers. The use of technology, specifically the internet, presents challenges to ensuring that this is done in an effective and ethical way. Given the growth of technology, we have an ever growing need for STEM workers specifically in cybersecurity fields and several states are recognizing the value of providing coding skills and opportunities to students. While it is important for students to understand the skills, a necessary component of this education should also be career awareness. Many studies have revealed the STEM career awareness gap exists and that we need to make career awareness part of the STEM educational efforts. There are many ways to address this including online resources and mentoring. We will explore a couple of the national efforts that are working to help expose students to the exciting cybersecurity and STEM careers.